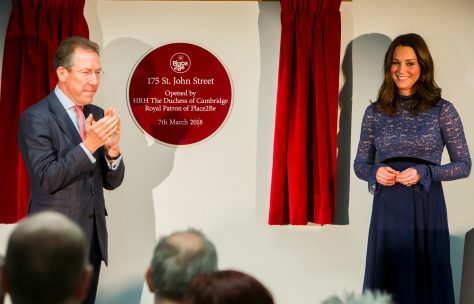 The charity’s Royal patron officially opened the children’s mental health charity, Place2Be’s new headquarters at St John Street today. The development, named Coller House, was refurbished by McLaren Construction, comprising of the complete strip out and remodelled CAT B fit-out. The new Place2Be offices will have state-of-the-art facilities to allow the organisation to train more counsellors, teachers and school leaders to provide emotional and therapeutic support to children in schools across the UK. McLaren Construction Group has supported Place2Be since 2014 and has raised over £40,000 for the charity through numerous events and challenges.